Following the festival’s massive 10th anniversary celebration last year, Rewind South returns with a legendary line-up celebrating music icons of the 80s and beyond. Four Tops and Michael Bolton will be headlining the weekend, playing the festival for the first time. Rewind South takes place in Temple Island Meadows in Henley-on-Thames on Friday 16 to Sunday 18 August. Organisers promise to take Rewind to new heights this year with their most musically diverse line-up yet – plus added entertainment including a jam-packed comedy programme and family activities. Four Tops – one of the defining acts of the Motown era – is headlining Rewind South on Saturday 17 August. Led by original member Duke Fakir, the quartet is set to deliver a spirited performance of their classics such as ‘Reach Out (I’ll Be There)’ and ‘I Can’t Help Myself (Sugar Pie, Honey Bunch)’. Throughout their rich career, the Four Tops have been honoured with a Grammy Lifetime Achievement Award, had two songs in the Grammy Hall of Fame, and been named in the Rolling Stone’s 100 Greatest Artists of All Time. Joining Four Tops at Rewind South is world-renowned music legend Lulu, who has enjoyed a glittering career since the 60s with her signature hits ‘Shout’ and ‘To Sir With Love’. The singer-songwriter – who paved the way for this generation’s power vocalists like Florence Welch and Paloma Faith – shows no signs of slowing down, earning praise for her soaring, soulful vocals at recent shows. 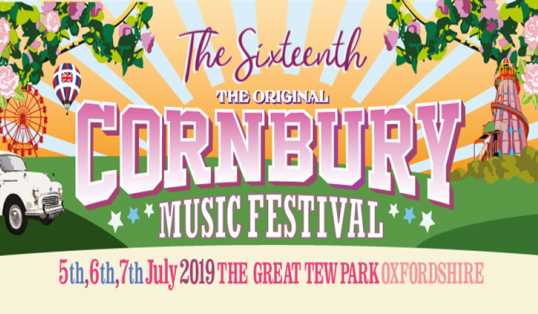 Other music icons confirmed to perform include Heaven 17, Heather Small, Tiffany, Kim Appleby, UB40 (featuring Ali Campbell and Astro), The Dire Straits Experience and The Undertones. Michael Bolton is confirmed as the final headliner for Rewind 2019, hitting the stage at Rewind South on Sunday 18 August. The multiple Grammy Award-winning singer and songwriter has sold more than 75 million records worldwide, powered by his unforgettable hits including ‘How Am I Supposed to Live Without You’ and ‘When A Man Loves A Woman’. The legendary Sister Sledge will also be getting the party started at Rewind South. Famed for their infectious disco stompers such as ‘We Are Family’, ‘He’s The Greatest Dancer’ and ‘Lost in Music’, there is no better way to get into the weekend than with the Sisters. Rounding out the summer of Rewind are Belinda Carlisle, Paul Young, Midge Ure, Hazel O’Connor, The Wailers, The Selecter, Neville Staple, and From The Jam. On Friday night, trailblazing hip hop DJ Grandmaster Flash will be headlining the Forever Stage. The festival drew their biggest crowds last year with their most extensive entertainment line up yet which featured comedy from Milton Jones and Vikki Stone, special DJ sets, live music and a series of boat parties on the Thames. Rewind is famed for its fun family atmosphere and this year the festival will be rolling out its most comprehensive entertainment line up yet. There’s something for all ages. In the kid’s area, Ziggy’s will be hosting circus skills workshops, family sports days and giant bubble parties. Over the coming months, Rewind will be unveiling their comedy line up, family festival programme and full entertainment line up across all three sites.